The competition will be run from the Uglybustards Competition page on Facebook from the evening of the first final on Friday 6th September and entries close the Monday after the Grand Final. You'll need a Facebook account to enter, view and vote for submitted images. If you're deadset against Facebook, send your snaps to me. Or a very easy way to enter is if you are on Twitter. Just tweet your snap with the hashtag #showyourform. You will be tweeted a link to claim your entry by filling in the form details. 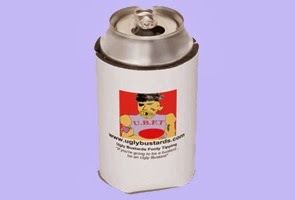 Prizes are an Uglybustards T-shirt, and just off the production line, a brand new Uglybustards stubby holder! The best three entries that Show us your Finals Footy Form will take home a T-shirt and stubby holder each. Entry is open to all and sundry, not just 2013 prize pool entrants. Anyone can enter! Anyone can enter. 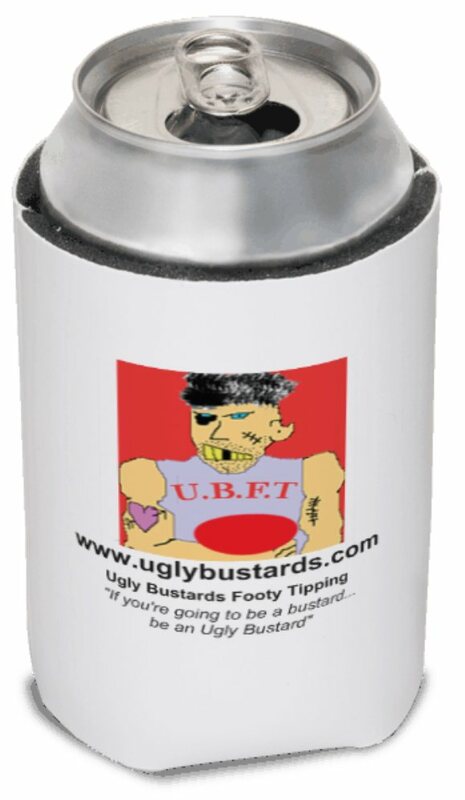 Ugly Bustards Footy Tipping employees and immediate family members are not eligible. Immediate family includes only spouses, parents and children. You may submit multiple votes by voting for more that one entry. Final ranking of entries will be judged by Uglybustards. This may not correlate with voting totals. Photos must be the original work of the entrant or entrant must own copyright of sumitted images. By entering the contest, entrants agree to have their submitted name displayed on our website and used by us for any purpose, at any time, without any fee or other form of compensation. We reserve the right to disqualify users, without notice, and for any reason. 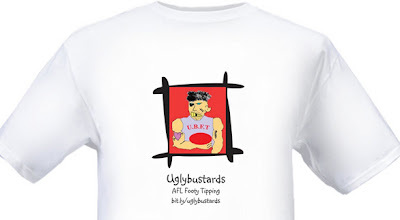 The sponsor, Ugly Bustards Footy Tipping, reserves the right to publish submitted images on its website with a credit to the entrant.